Toronto was tremendous fun. I had a great time exploring the city with old friends, taking in art shows (Georgia O'Keeffee) and eating all the things. Especially doughnuts. No regrets there. The launch at Cookery on June 10th was a blast. Alison was super helpful and had everything organized for me to get baking my Brown Butter Spelt Brownies. And, I should mention she is one of the sweetest, kindest people I've ever met. If you are in the Toronto area, you must fine her cute little store and say hi. 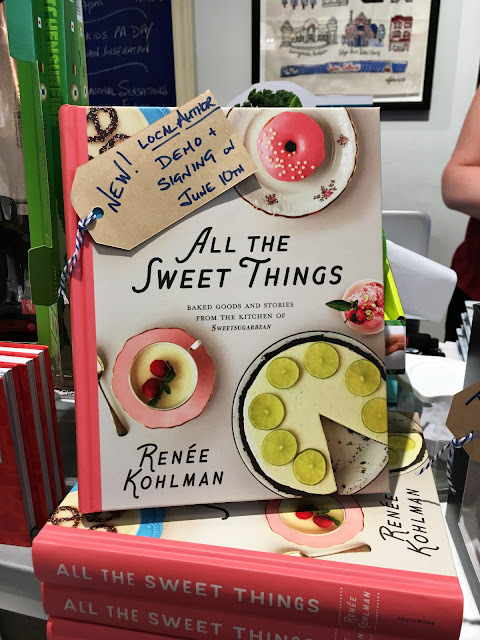 I loved chatting all things cookbook with her, and it's so nice to know the independent retailers that are selling my cookbook. She's a big believer in it and its success, and I'm so glad we met. Same goes for a random adventure my pal Chelsey and I had. After finishing our brunch of Eggs Benedict, good coffee and great convo, we strolled up Bloor Street West and passed by Book City. We went in, because I wanted to find the July issue of Canadian Living (see below) and Chelse went on the hunt for my cookbook. And there it was! Top shelf! I told the dude working that I wrote it and would be happy to sign it, and he's like, I have to get my manager. She loves you. Out came Sarah, with her big smile and strong handshake. She too is a giant fan of the cookbook. 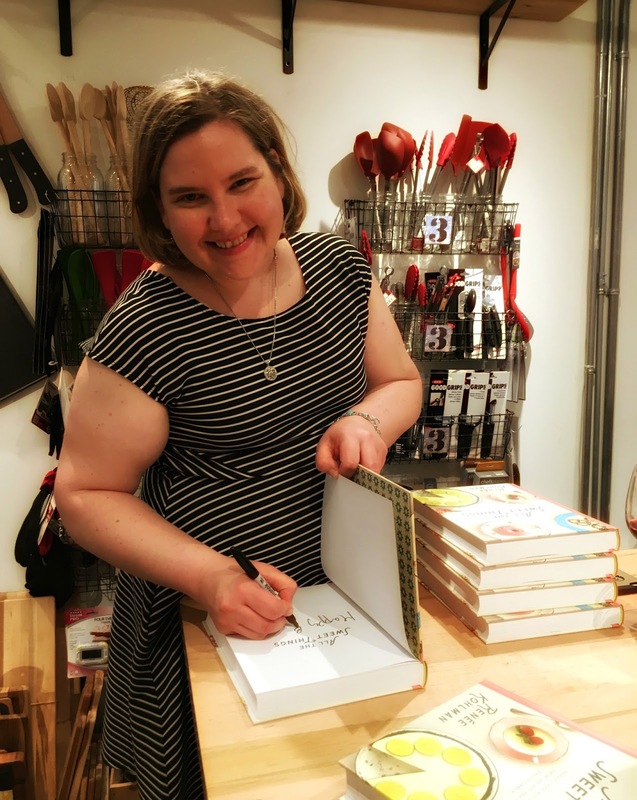 We chatted about books and butter, and I have no doubt she'll be ordering more in, once that signed copy sells. It was random and it was marvelous. I love it when life works out like that. 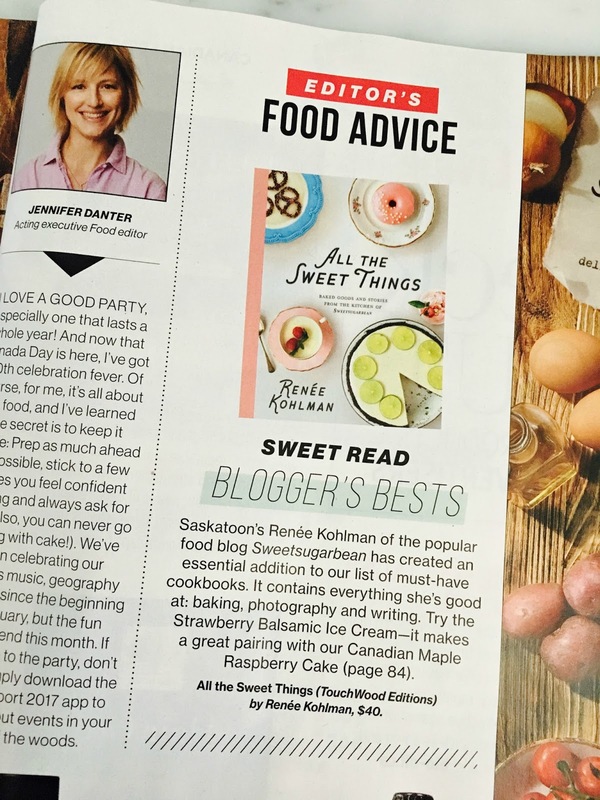 So, All the Sweet Things is mentioned in the July issue of Canadian Living! I'm super pumped about it, as you can probably tell. I've been reading that magazine for years and years, and to see my name inside is pretty darn cool. I might just need to put that page in a frame, or at least a folder with all the rest of the amazing articles written about All the Sweet Things this spring. It's been such an awesome ride. Truly. I've pinched myself several times to make sure it's all really real. Now I'm back and settling into routine again. This summer is going to be a relatively quiet one, and I relish the thought of just chilling out, with no planes to catch and no major events scheduled. My friend has booked a cabin in the woods for the upcoming Canada Day weekend, and invited me along. I practically shouted YES into the phone. Take me to the middle of nowhere, with a lake nearby and the fixings for a good firepit. There will be mosquitoes (sad face), but there is running water and a shower at the cabin, praise the lord, and all I have to do is bring some food and a book. Bliss. I'm also bringing the ingredients to make bannock, which is like a fried biscuit and utterly delicious. The dough comes together in minutes and consists largely of pantry staples. It's then divided into 10 biscuit pieces and dropped into a cast iron skillet of hot oil. Bannock only takes a few minutes to cook on each side, and the swim in the oil gives them these amazing crispy edges. 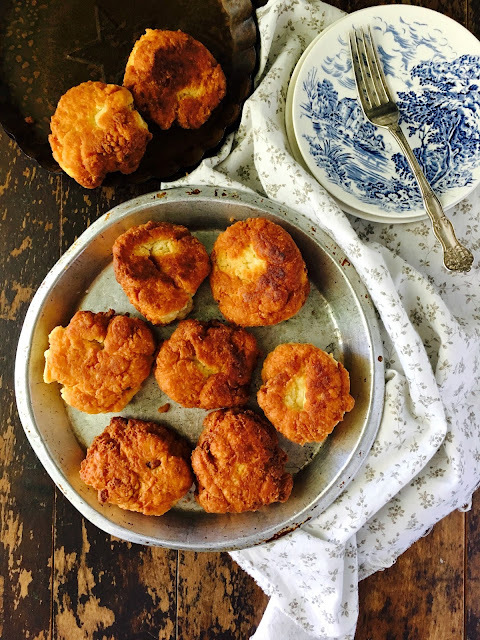 I've loved serving bannock for breakfast, with a good amount of maple syrup and a sprinkling of flaky salt, but they are also fab when topped with your favourite jam or a bit of honey. You can even serve it alongside soups and stews for some hearty dunking. I found the recipe for bannock in FEAST by Lindsay Anderson and Dana VanVeller (Appetite by Random House, 2017). Bannock's origins within our First Nations culture go back hundreds and hundreds of years. To find out more about bannock, check out the online resource Bannock Awareness, as Lindsay and Dana recommended in their cookbook. If you haven't picked up a copy of FEAST yet, you really should. 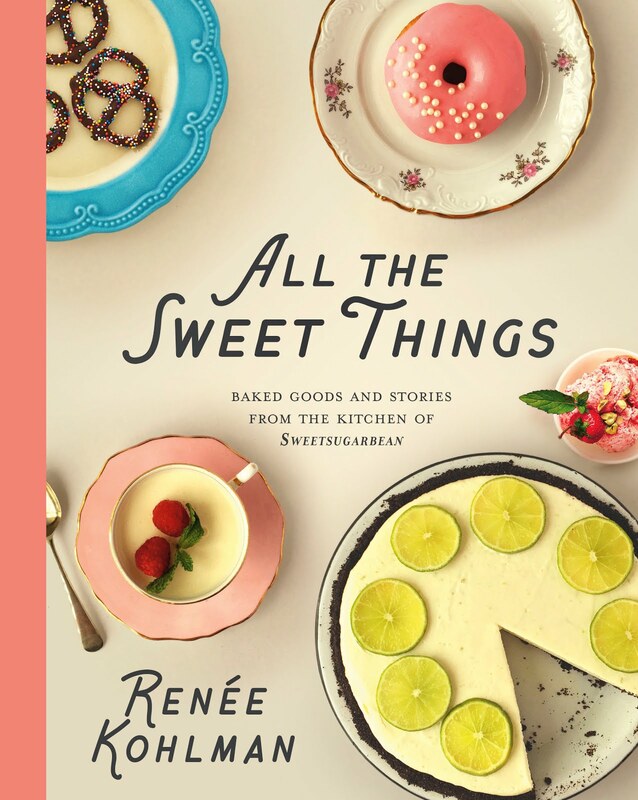 It's a fantastic collection of Canadian recipes and stories from their cross Canada trek a few years ago. I love this book - a great read if you wanna travel in our great land this summer. I also have a recipe for sour cherry and ricotta perogies in it, so that's pretty cool, too. I might be going on vacation this weekend, but my cast iron skillet is coming with me. Happy summer, friends. I hope you make the most of it. Combine the flour, baking powder, sugar, salt in a large bowl. Use a pastry cutter or two knives to cut in the butter until pieces are pea-sized. Mix in the egg, then pour in enough milk until a dough forms. Divide the dough into 10 biscuit-sized pieces. Meanwhile, have a large cast iron skillet with 1/2 inch of oil heating over medium-high heat. When the oil is hot, fry five pieces at a time, about 2-3 minutes per side, until golden brown. Keep the cooked pieces warm while you fry the remaining bits of dough. 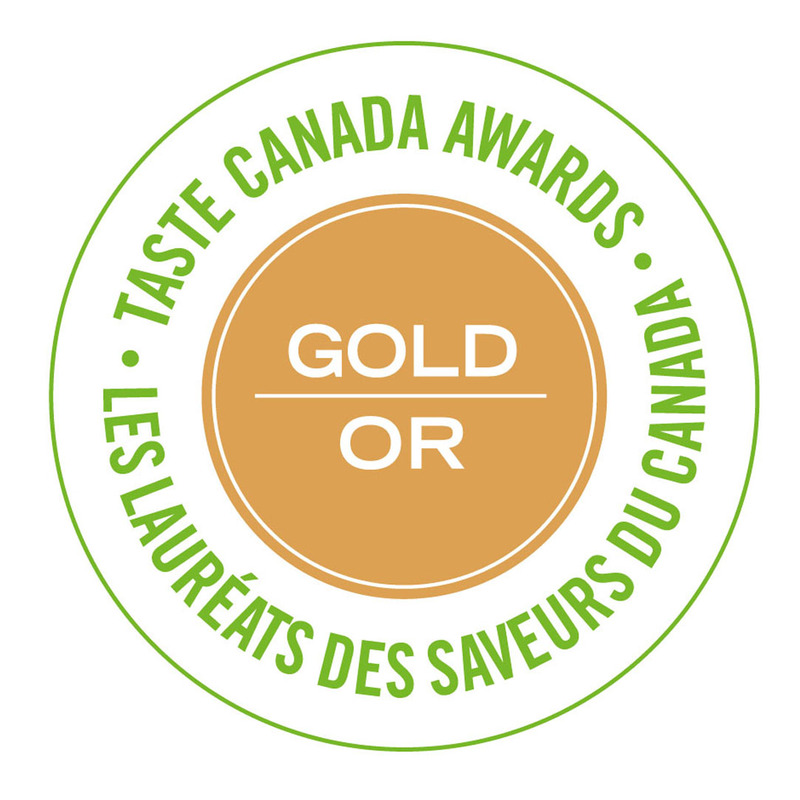 Serve warm, with maple syrup and flaky salt. Makes 10 pieces, enough for 4 people. 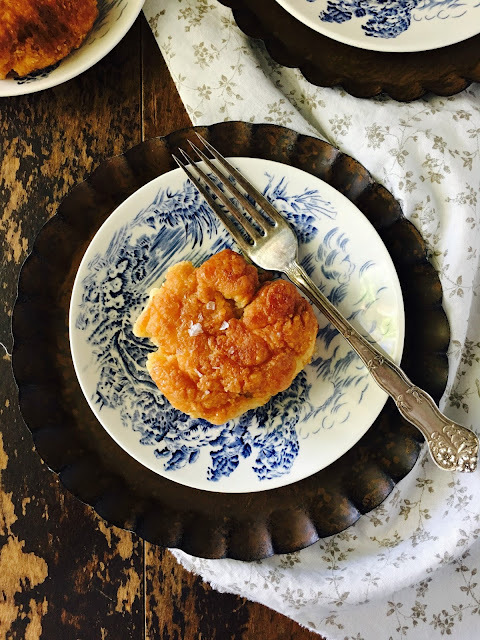 Recipe adapted from FEAST by Lindsay Anderson and Dana VanVeller (Appetite by Random House, 2017).